Gavronski’s win over Carr in September marked his first fight back since losing to Dashon Johnson last November in a bid for the WBA-NABA US 168 lbs. title, only the second loss of his career. Prior to that, Gavronksi had racked up a six fight win streak, rebounding from a 2014 decision loss to current top middleweight world title contender Tureano Johnson for the vacant WBC Continental Americas middleweight belt. The popular Tacoma native, who recently cracked the WBC rankings at #39, looked sharp in his most recent bout, a product of having spent his training camp outside of his home state of Washington, working with Eddie Rivas in San Antonio, Texas. He’s done the same in preparation for the tough Ghanaian fighter. Awimbono, who’s spent the last six weeks preparing for this fight training in New York, has fought most of his career in his native Ghana, winning twenty five fights and suffering only one set-back there early in his career. The three times he’s fought out of his country he’s been unsuccessful, albeit against top opposition, losing most notably to current top contenders Martin Murray and Thomas Oosthuizen. This will be his first fight in the U.S.
Gavronski and Awimbono will fight ten rounds in the super middleweight division. The rest of the card will feature fighters from the Pacific Northwest in intriguing match-ups. The card’s sem-main event will feature a rubber match between Yakima, Washington’s Andres Reyes (5-1-1) and Marcos Cardenas (5-5-1, 2 KOs), of Salem, Oregon. The two first fought in November of 2014, with Reyes coming back from a first round knockdown to claim a four round split decision. In their most recent fight this past June, the two battled to a four round majority draw in another exciting, back and forth affair. Reyes has had one fight since then, taking a five round unanimous decision win over Ramel Snegur two months ago. Cardenas has not fought since June. The two will fight six rounds in the 140 lbs. division. The crafty Andre Keys (2-1, 1 KO), of Tacoma, will meet tough Nate Serrano (4-4-2, 3 KOs), of Yakima, in a four round Jr. middleweight bout. In Keys’ last fight he took a clear-cut unanimous decision win over Antonio Neal, coming back from a knockout loss in March to Thomas Turner. Serrano recently came back from a three year long lay-off in September, losing a close split decision to Osvaldo Rojas. In another four round Jr. middleweight match-up, Seattle’s Zach Cooper (4-2-2, 3 KOs) takes on Antonio Neal (4-6, 3 KOs). Cooper is coming off a one round knockout of Colby Grayson in June. Neal, meanwhile, lost his last fight to Andre Keys. Chicago, Illinois’ Giovanni Mioletti (3-0, 1 KO) will move up two weight classes to take on Chance Gabriel, of Vancouver, Washington in a four round Jr. welterweight fight. Mioletti looked impressive in his last outing at the Emerald Queen, upsetting local favorite Jeremy McCleary, taking a four round unanimous decision win. 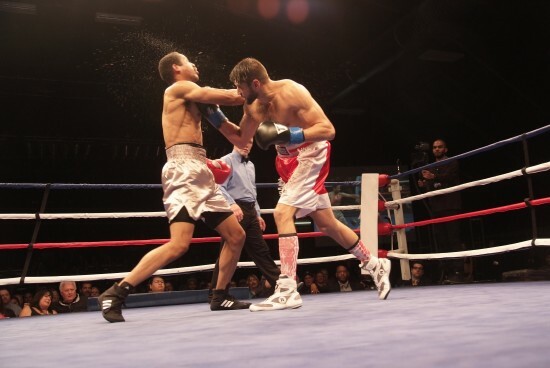 In Mioletti’s most recent fight on October 1st, he defeated Gavino Guaman by unanimous decision in Chicago. Gabriel will be making his pro debut. A four round heavyweight bout rounds out the card with Jose Rocha (0-1) taking on Yakima’s Carlos Villanueva. Rocha lost his only pro fight in January of 2015, dropping a unanimous decision to Miree Coleman in North Carolina. Villanueva is making his first appearance as a pro.